Gears of War fans will have to wait a little while longer to see how it all ends, and by "a little while" I mean "at least five months." Gears of War 3 was originally announced with a release date of April 2011 - almost a year to the day after its official reveal. According to Microsoft, though, Epic's megaton shooter is being delayed to an unspecified date in Fall 2011. In case you're worried that this somehow bodes poorly for the game's development one way or another, fear not: According to Microsoft, this had absolutely nothing to do with how Gears 3 is shaping up, and everything to do with a gaping lack of big-name 360-exclusive titles for next year's holiday season. "Gears of War 3 promises to be the biggest entertainment launch of 2011," says the Microsoft statement announcing the delay. "The teams at Microsoft Game Studios and Epic Games have done great work thus far readying the title for release in the spring of 2011. However, we've elected to move the launch of Gears of War 3 until Fall 2011 to make it the marquee title for the holiday season." I know fans are going to be disappointed with the new release date, but rest assured that this is a business decision between partners, and not a quality issue. Gears 3 was on track to be the most polished Gears of War game ever when it released in April, and this additional time allows us to polish it that much more before it hits shelves next fall. 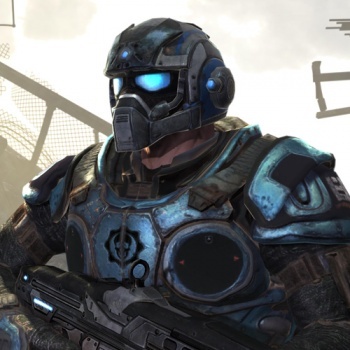 Next week we have a major multiplayer press visit at Epic HQ, and I'm really looking forward to the fans getting to see and hear about Gears 3 Versus multiplayer for the first time. Lots more exciting news to come. Five months for polish is a long time. I have a hunch that "polish" in this case means "playing Halo: Reach all afternoon."